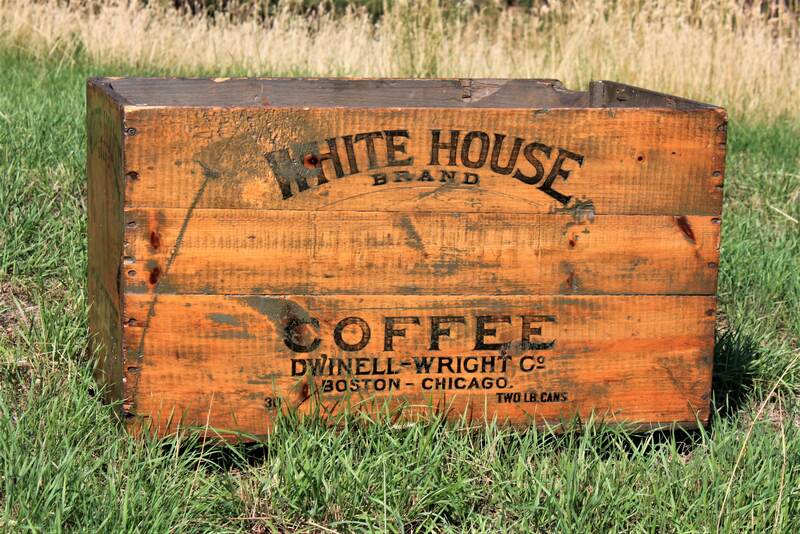 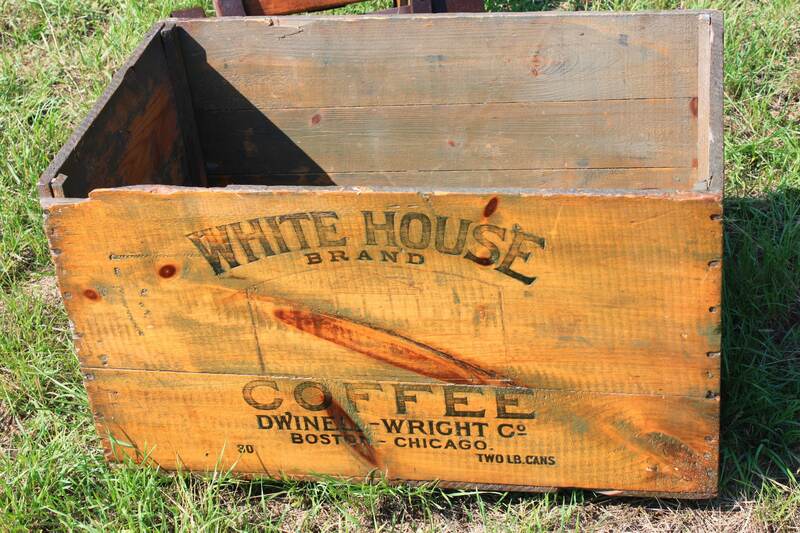 We have for sale an Antique White House Brand Coffee Wood Shipping Crate. 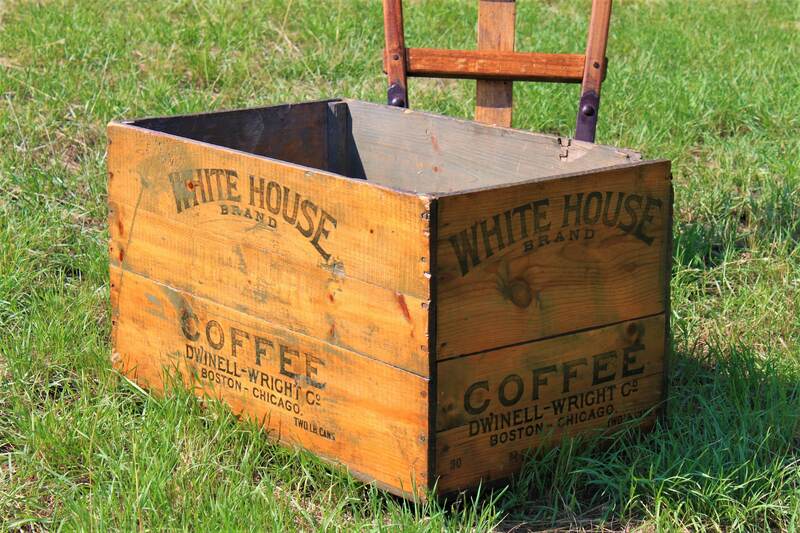 Condition; Pure vintage, we have cleaned all the dirt and dust off it is ready to display. 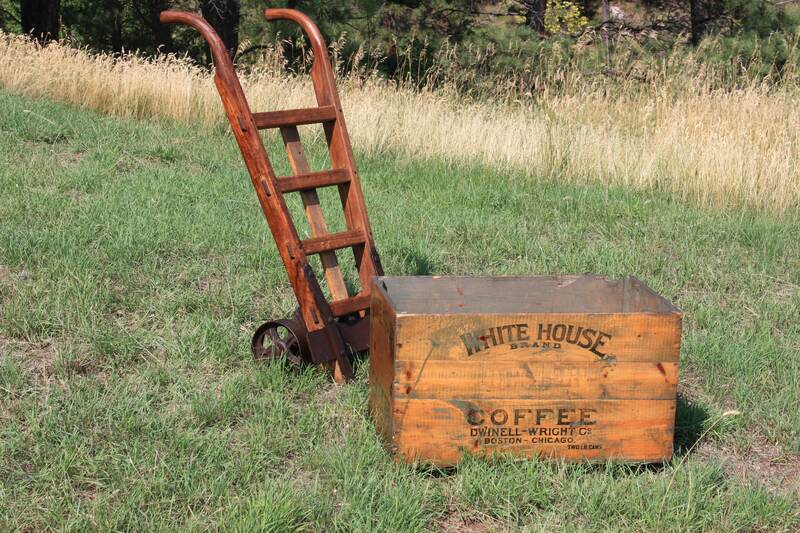 Has dents, dings, cracks, chips from years of use but in very solid condition. 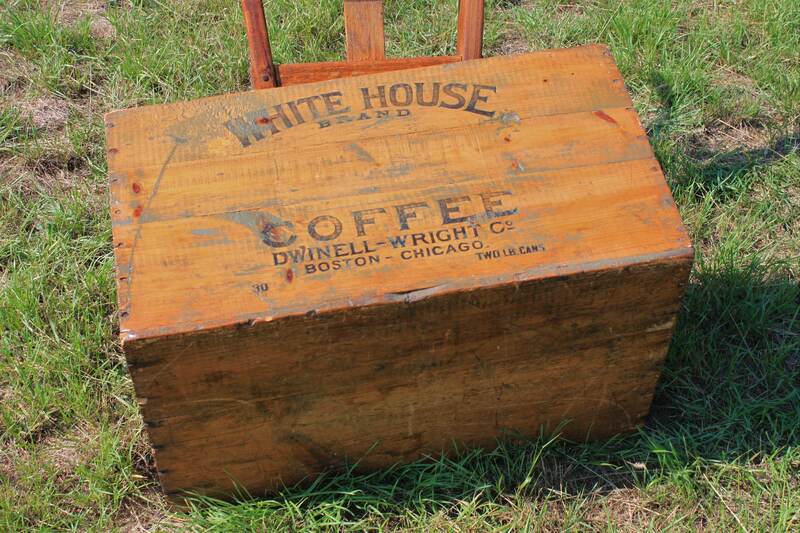 Measures; 27 ½” wide, 15” high, 16 3/4” depth. 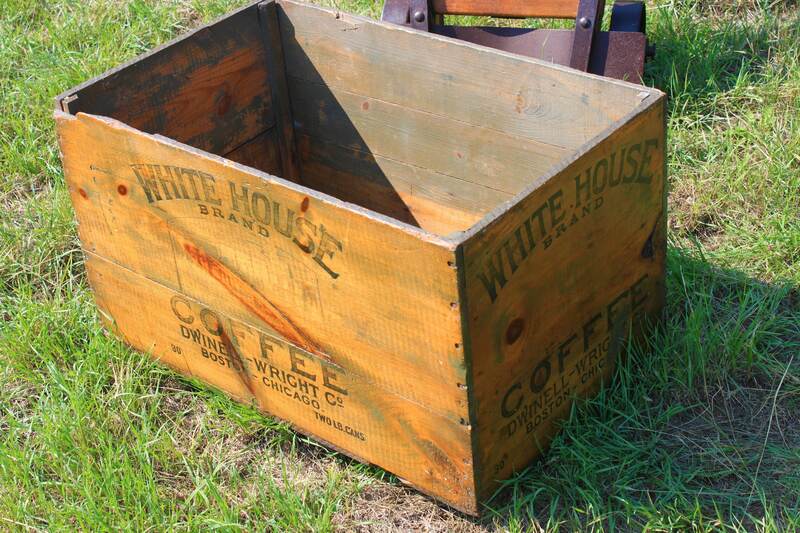 ****This item will require a shipping cost to your location, please contact us for shipping cost. 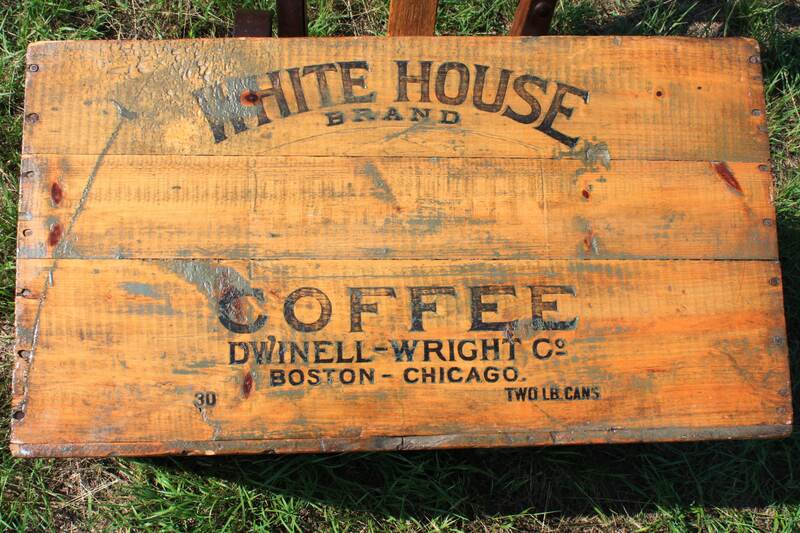 Dwinell-Wright Company and their White House brands of coffee and tea were the last and best known incorporation of one of the pioneers of the coffee roasting business in Boston, Massachusetts. 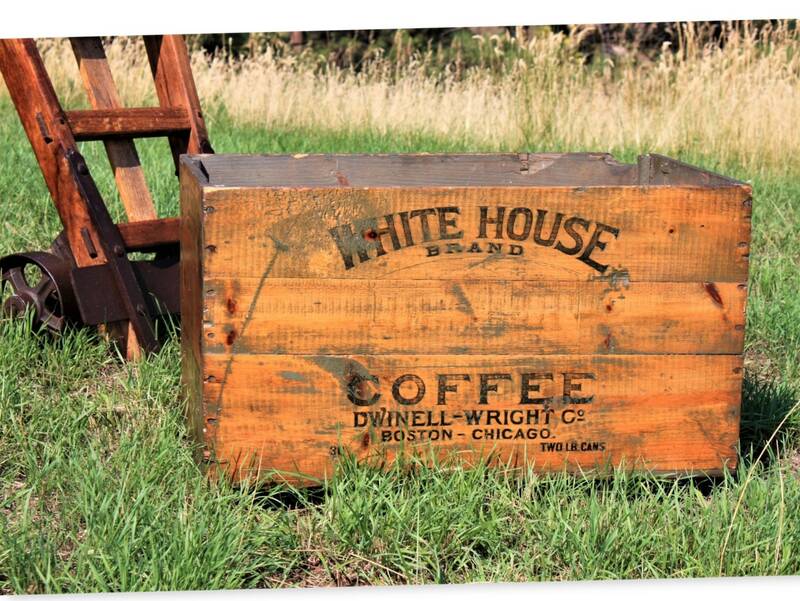 James F. Dwinell started roasting coffee as Dwinell & Co. in 1845, and in 1879 he joined forces with Martin Hayward and George C. Wright to become Dwinell, Hayward and Co., which evolved to Dwinell-Wright Company in 1899 after the death of Mr. Hayward.